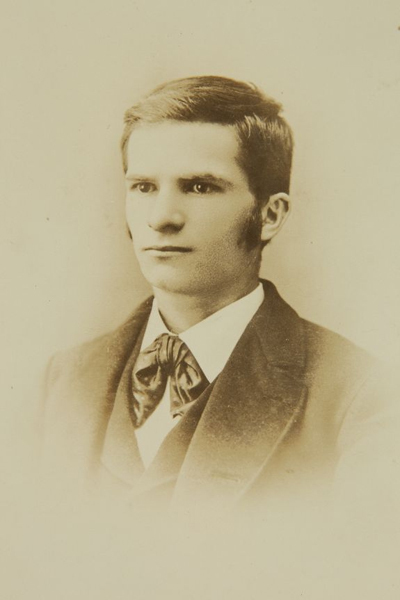 John Joseph Montgomery should be well known, though he is not. 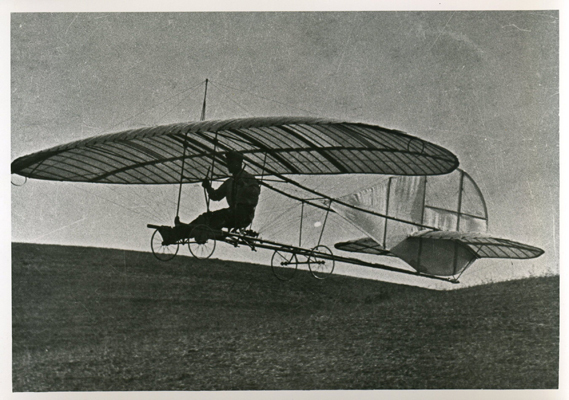 He was the first to fly a heavier-than-air machine in the Western Hemisphere, years ahead of his contemporaries, and his gliding designs were far ahead of their time. The best explanation for the lack of fame may simply be that most of the aerial elite were based on the east coast and Montgomery did his work in the, then, hinterland of California. 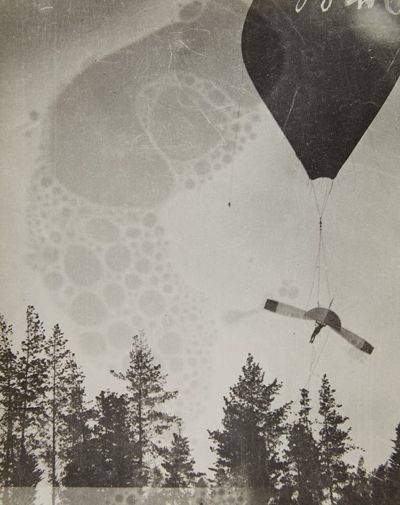 His first flights were in the early 1880’s — before modern sanitation and organized trash hauling — and he used balloons to gain altitude (as much as 4000 feet/1212m) for extended flight times. 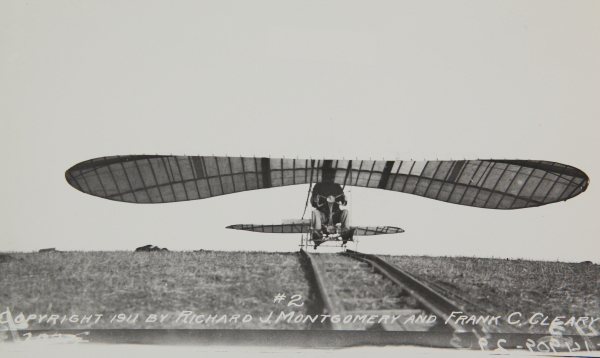 When other designs, such as those of Chanute and Cayley, had flight durations measured in mere seconds, Montgomery was flying for 15+ minutes at a time. 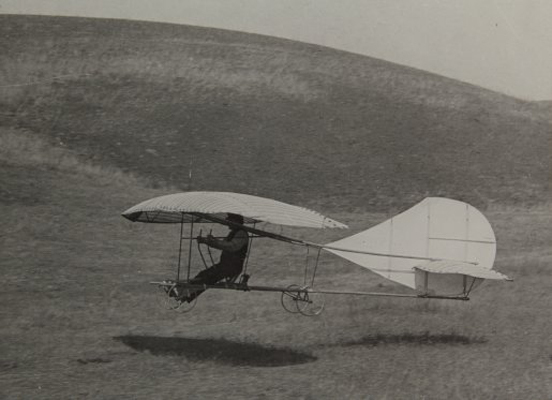 His gliders were also accomplishing figure eights and coordinated turns while spiraling down to soft landings — absolutely unheard of in other craft of the time! This was flying, real flying that was not surpassed until the Wright Brothers made their revolutionary advance in aviation with controlled powered flight only a few months later. 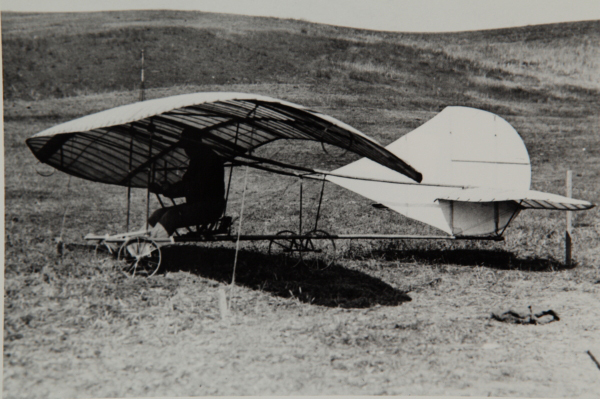 Montgomery subsequently filed a patent application which the Wright Brothers quashed in legal proceedings as with disinformation (after the flight of the Wright Flyer the Wright Brothers attempted to have all airplane manufactures pay them a fee to produce aircraft) — the fact remains that Montgomery’s gliders were performing figure eights when the Wright Flyer was marginally turning (though the Wrights were under power, of course). 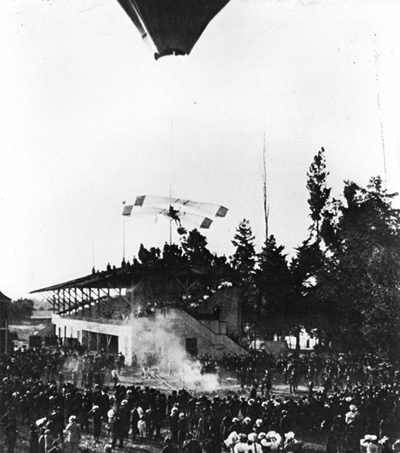 Montgomery associated and shared with Octave Chanute (as did the Wright Brothers and Glenn Curtiss) and his flights were often witnessed by hundreds of spectators. Alas, like so many early aviation pioneers he was killed in a crash when a bolt broke loose and struck him in the head in October 1911. Time has passed, publicity has taken its course, high school history books have long ascertained the way we will teach young adults aviation history (several mistakes and oversimplifications there), and knowledge of Montgomery’s contributions to aviation’s history are all but lost to us. 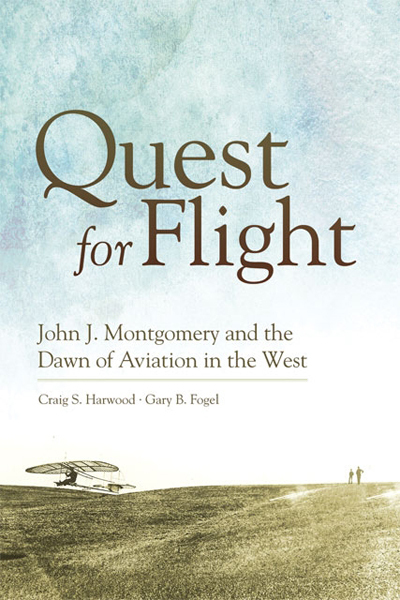 The University of Oklahoma Press has published this biography on Montgomery — Quest for Flight: John J. Montgomery and the dawn of aviation in the West, Craig S. Harwood and Gary B. Fogel, 2012, ISBN 9780806142647, 256 pp. You can see the review of this book which published 25 October 2013 here. Thank you, it was our pleasure and the book has been ordered. Thanks, too, for the link — we shall read it as well as place it into the post — it improves the post immensely. Travel for Aircraft. I have been sharing your article on John J. Montgomery extensively throughout my groups on Facebook and it has been getting a great reception (shared 689 times so far and many many likes coming in on my posts about it). You had mentioned that you ordered a copy of our book “Quest for Flight”. Would you be interested in writing a review on your Seattle PI blog about the book?. That sure would be nice. Let me know if that sounds like something you would be willing to do. I am expecting to book to arrive any day now :). Yes, I will absolutely read the book and post a review of it! There are about 60 book and film reviews, so far, in this blog with many more to come. The habit is to send an email when possible when the post is published so you will certainly get that email, I am happy to say. Since the book was recently published the review will be expedited, as well, this makes sense for the publisher as well as the reader so they may obtain the book before there is a danger of it becoming out of print. I posted a review of your book just a few days ago (late October 2013). Normally I would email you but where I am it is difficult to access your blog to get the contact information. The book is well done and sets the historical record straight, I think, regarding your relative — John J. Montgomery.